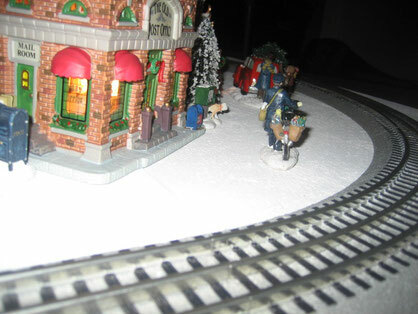 The Christmas Train Platform is completed! After 30 or so hours of work (and quite a bit of time in planning) the Christmas Train Platform is completed. Since the paint has not fully cured, I decided to sit it up on wood blocks, as to not ruin my carpet. Many people may wonder, why built a Christmas platform? Wouldn't it be easy just to put the train directly on the carpet? Yes, you can. But that's like playing with a dump truck and having no dirt to haul around. It's like having an empty BB gun with pretend bullets. It's almost as bad as having a Millennium Falcon and no Han Solo to fly it. Ridiculous! My dad taught me at an early age, if you're going to build something, make it nice. 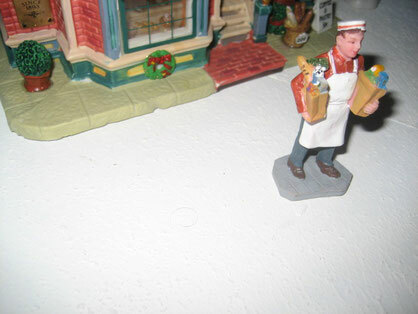 This platform combines everything I felt was essential for a jolly good time under the tree for children of all ages. The initial concept of the platform came from one my father made years and I always adored as a child. 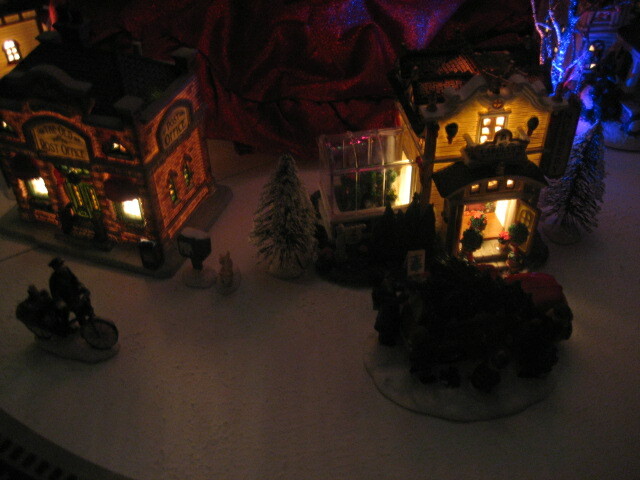 It was an all-in-one Christmas display that introduced me to the concept of turning on tree, houses, and train with three different switches. We used an HO scale train with HO scale buildings, lit using a string of lights hidden under the platform (ingenious!). In addition, there was a hole in the middle just large enough for the tree to poke through. My father even wired up all the train components under the platform, so every single thing our train did, from switching tracks to blowing the whistle, seemed magical. This platform was one of my favorite Christmas memories, but there were a few things I wanted to change with Platform 2.0. The first was the massive size. At an impressive 4'x6', the platform had enough size for plenty of fun under the tree. However, it was a pain to move and an even bigger pain to store in the off-season. In addition, I do not like the exposed outlets because you see where everything is plugged in. 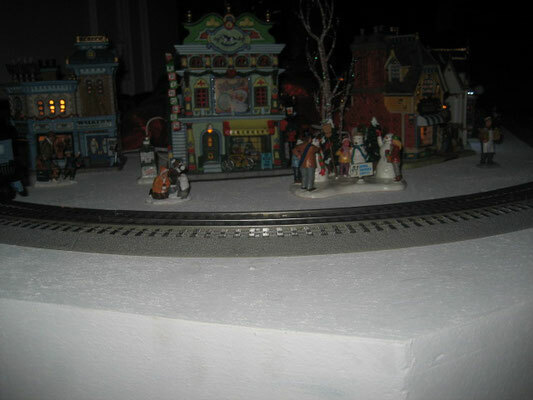 And although green is a great color for the base of any other train model, it didn't fit in much with the Christmas theme I was looking for. Moving around the old platform was the equivalent to carrying a canoe to the river. To counter the immense size needed for the platform, I decided to build the platform in three separate pieces. These pieces would be much easier to move and even easier to store. When in use, you could just lay the pieces next to one another, but I decided to use hex bolts and wing nuts to hold the sections together. The downside with separate pieces is you can see the seams after the pieces are assembled. If you look closely at the image at the top of this page you can see the slight lines in the separation of the pieces. After the project was finished, I think these lines are barely noticeable. The benefits of moving and storage greatly outweighed any moderately visible lines that would be encountered. 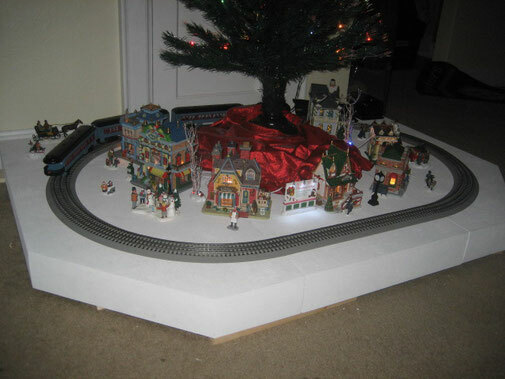 When my father originally build his platform in the 1970s, a simple switch, like a light switch on your wall, was the best option for turning on the tree, houses, and train. Now, Lowe's and Home Depot sell wireless remotes available for your standard outlet. I plugged these into my outlets under the tree, so now I have a remote control to operate everything! Before you decide to plug everything into a single outlet, I strongly suggest adding up the amperage of everything you plan on plugging in. If this exceeds 15 amps, you may want to resort to using at least two outlets on two separate breakers. 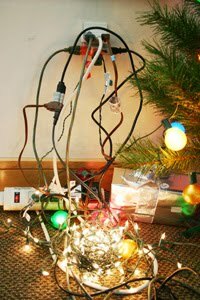 It is best to consult with an electrical professional before you overload a circuit and cause an electrical fire. Since this is a scene of a Christmas village, with a Christmas train, and under a Christmas tree, I really wanted to a white platform to to tell the story of a wonderful snowy day in Scharlville. Painting the the platform white was a no-brainer, but would it alone contribute to the "wow factor" I needed? It was clear I had a few options: rolled felt, quilt batting, snow flocking, or ceiling popcorn. The felt and quilt batting could possibly be dangerous around all the electrical connections, especially the train track. (Cotton and polyester are both very flammable.) Snow flocking was considered, but short-lived after googling the ingredients. Animal fat is one of the most prominent ingredients, and not something I wanted to store in the off season and bring back out year after year. Ceiling popcorn is textured, but a little too aggressive for the look I wanted. But wait . . . what about another type of ceiling texture? I decided on a mixture I had made a 18 months ago as a texture for my living room ceiling. It was a mixture of paint and sand, that rolled on fairly smooth, but with enough texture to hide ceiling imperfections . . . or emulate snow. So, after priming the three platform pieces, I rolled the snow texture on all exposed places of my platform. This turned out much better than expected, and even helped hide the seams between the three sections I made. Remember, anytime you paint a solid surface, the paint takes approximately three weeks to fully cure. So with the platform finally complete, we set up the rest of the display. 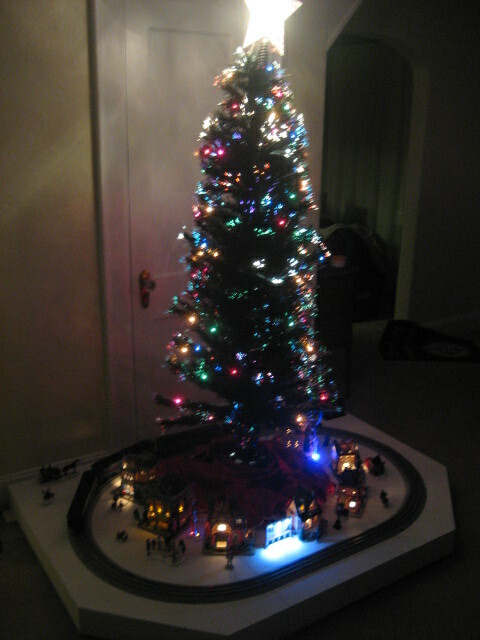 Included in the Christmas display is an O-scale "Polar Express" train set, a 5' fiber optic tree I picked up from Rite-Aid six years ago, and Lemax Christmas buildings and figures, similar to those made Department 56. The true test of the Christmas magic will happen when my nephew Billy comes over and to play with Uncle Joe's train set. 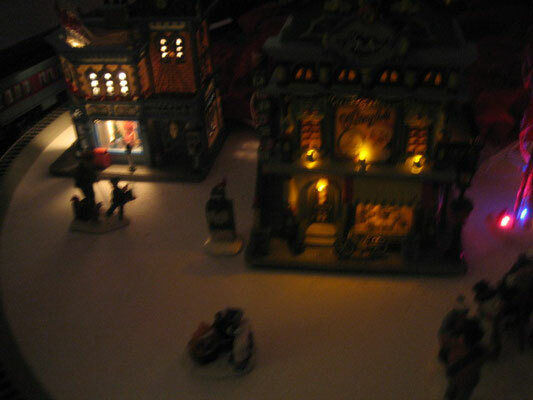 Below are a few more pictures of the fully decorated Christmas platform, followed by a video demonstrating the remote control. 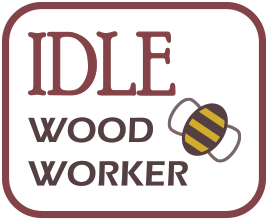 If you have any questions on how this platform was built, any problems I encountered, techniques I used, suggested improvements, or simply a JWD (job well done), please feel free to post below.